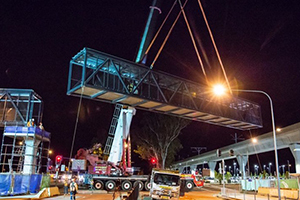 An 80-metre-long pedestrian bridge has been lifted onto place as part of the $8.3 billion Sydney Metro Northwest project in a precision night-time operation. The bridge is the longest pedestrian bridge as part of the project and had to be lifted in two pieces over Old Windsor Road at Kellyville. A 500 tonnes crane was used to lift the two bridge spans, weighing a combined 157 tonnes, into place. The bridge is six metres above the road and aims to make it easier for commuters to get to the new Kellyville station as well as the Riley T-way bus stop. 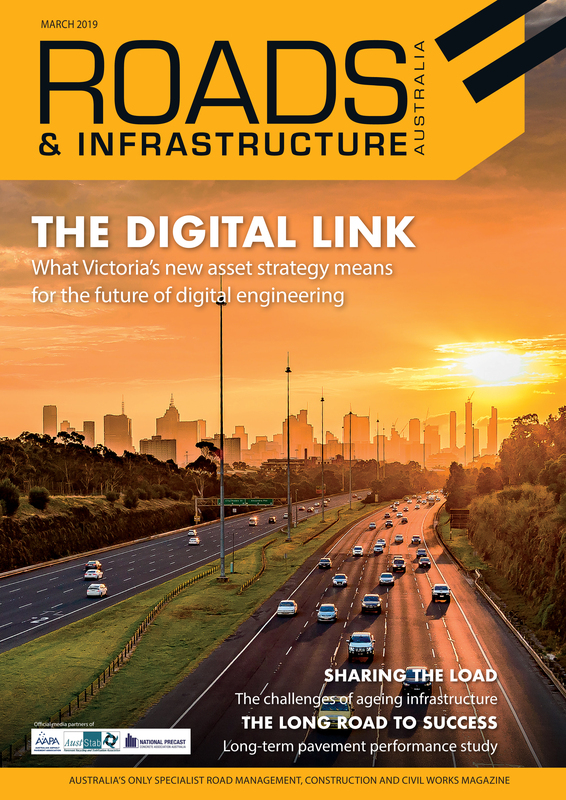 It will open next year alongside the Kellyville station, which will include 1360 commuter car parking spaces, four bus bays and parking and storage for 55 bicycles.